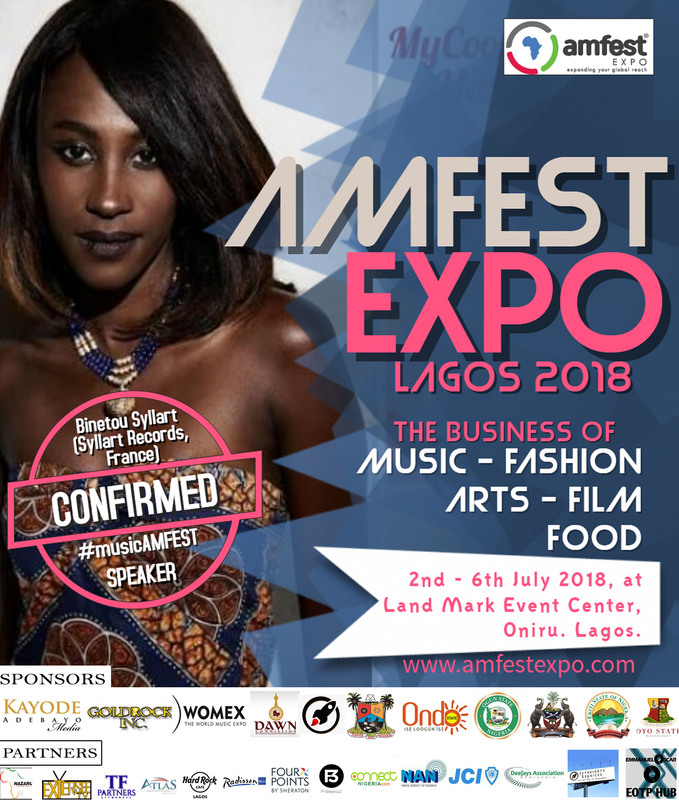 We are delighted to welcome to the Amfest Expo 2018 Music Day, no less a personality than the acclaimed African Queen of World Music herself, Binetou Sylla, who has confirmed that she will be speaking at the event. Binetou, Sylla, 30, born in France to Senegalese parents, has been the Director of Syllart Records, a Paris, France based record label since 2013. Sylla Records (founded 1981) in its more than thirty five years of existence has recorded and produced Francophone-African legends like Ismael Lo, Salif Keita, Youssou N’Dour and Sekouba Bambino. Syllart Records is also currently one of the most popular record labels in France, especially for African Artistes. The record label was originally known for native and folk African music, but under Binetou’s direction the label has been diversifying towards more contemporary artistes and music. Binetou will be sharing her experience of being a second generation manager one of the most recognized African music themed labels in France at the Amfest Expo Lagos 2018 Music Day. She will also be talking about how African music acts can take their music to the big time in Europe. Next: Next post: Meet Our Ambassadors: Kwaku T.